We are constantly working to improve our customer experience and have developed a more useful customer account. As part of this, we will keep an account open for you as long as you want us to. Firstly so we can make the ordering and production process easy for you to follow and manage, but more importantly so that we can support you in any future maintenance of your ring for as long as you need us. 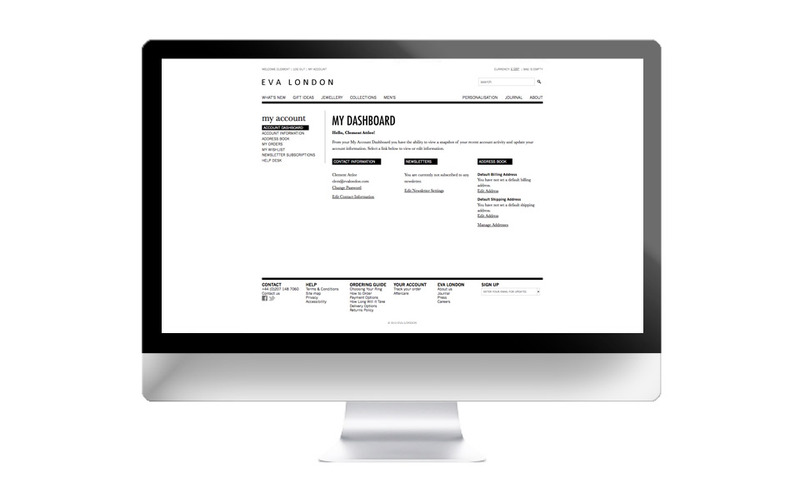 We have built the customer account system around the idea of helping you figuring your measurements and style preferences, and then storing that information online using the wish list. 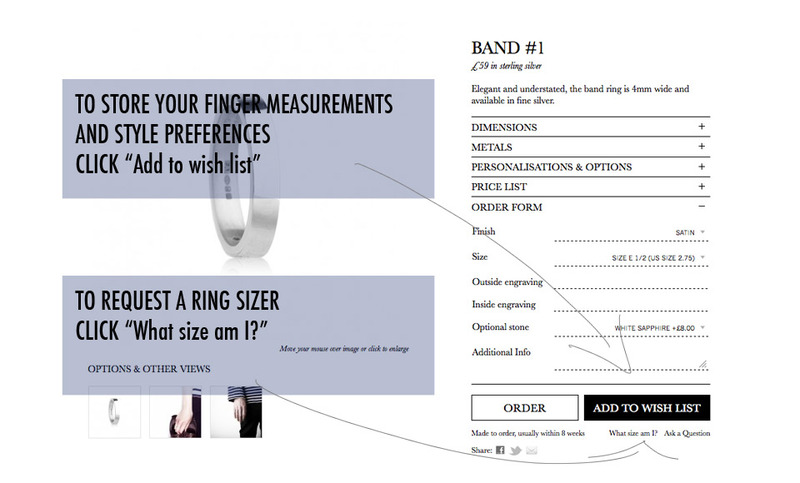 To have your finger measured visit a local jeweller, one of our partner shops or request a ring sizer. 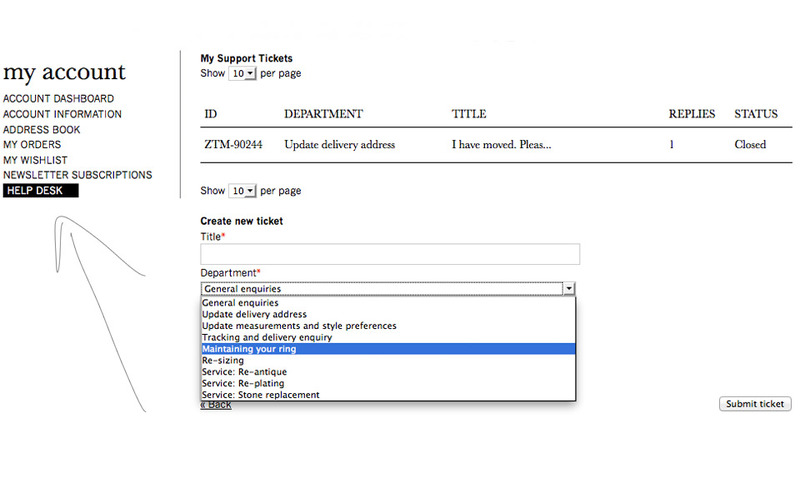 To create a wish list just configure a design using the order form and then click on the wishlist button. Alternatively, you can discuss your design preferences and finger measurements with one of our advisors by email or telephone and we will configure a ring with your help and put it online for you to edit. Our rings are designed to last a lifetime or more, and we believe they do so by drawing on both modernity and tradition. While we can’t promise our rings will always be future proof, we can guarantee that we will do everything we can to help you maintain your ring. For this reason we archive the specifications, design and mold of every ring we make, as well as an individual identity number should you wish to contact us at any time in the future about your ring. The “HELP DESK” section of our customer account system has been built with this in mind, and is your first point of access to our records. It also makes it easy for you to contact us about maintaining your ring should you wish, years down the line, to have your ring re-plated, re-sized or even re-modeled.